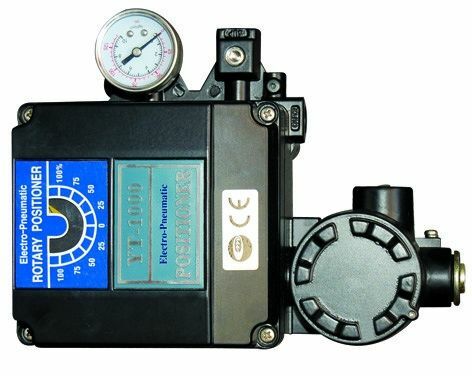 Electric-pneumatic valve positioner YT-1000R is a device that receive 4~20mA DC current signal from controller or control system and deliver air to rotary pneumatic actuator to control valve position. Convenient for the transform of positive action and counteraction, single acting and double acting. For small actuator, preventing vibration can be done by narrowing the orifice of positioner. Little air consumption, economical energy saving. 1/2 split range available by simple adjustments without changing parts.